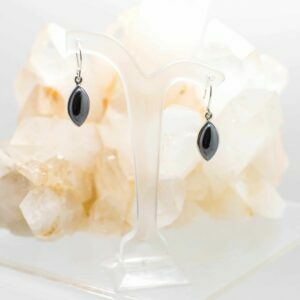 Elegant Hematite Earrings, with an expanded sterling silver surround, earrings have an open back. 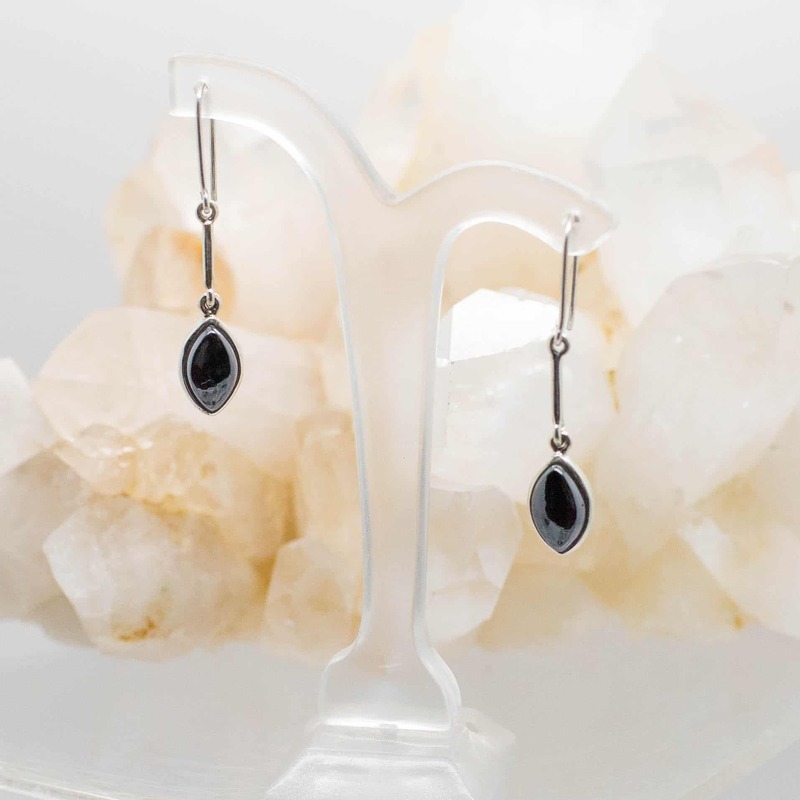 Slightly grounding, reduces stress, enhances personal magnetism, optimism, will, courage. ‘Stone for the mind’ it helps one to realize that the only limitations which exist are self limiting concepts within the mind. Stimulates attainment of peace, self control and inner happiness. Balances yin-yang energies. Assists in the focusing of energy and emotions for balance between the body, mind and Spirit. Helps transform negativity to the purity of the universal light of love.